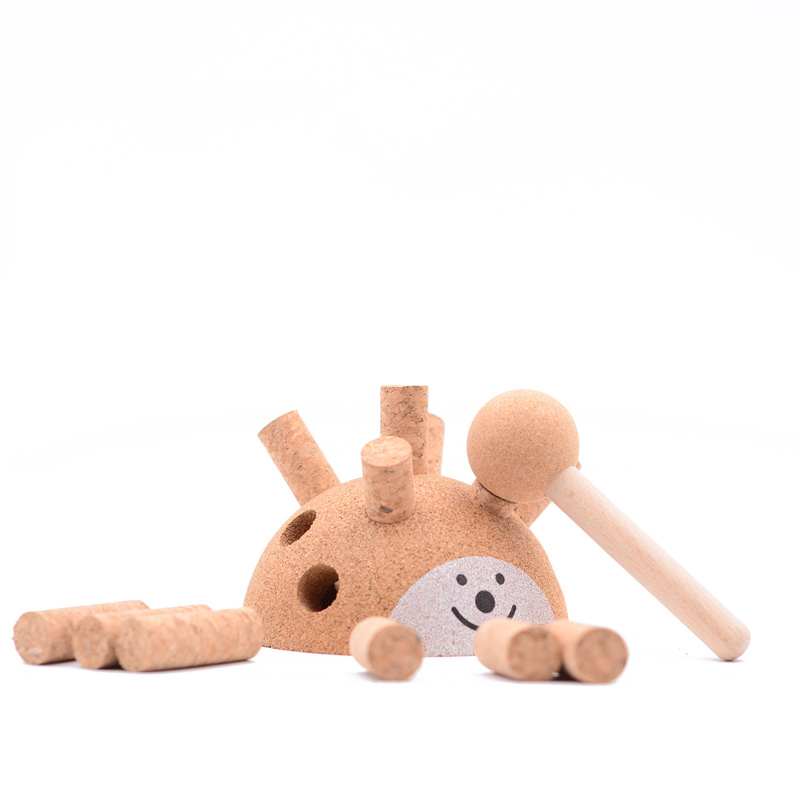 Ladybug - Elou Cork Toys	€20,28 VAT Inc.
Hedgehog is an unpretentious fitting toy whose main purpose is to stimulate the development of the child’s hand-eye coordination and motor skills. 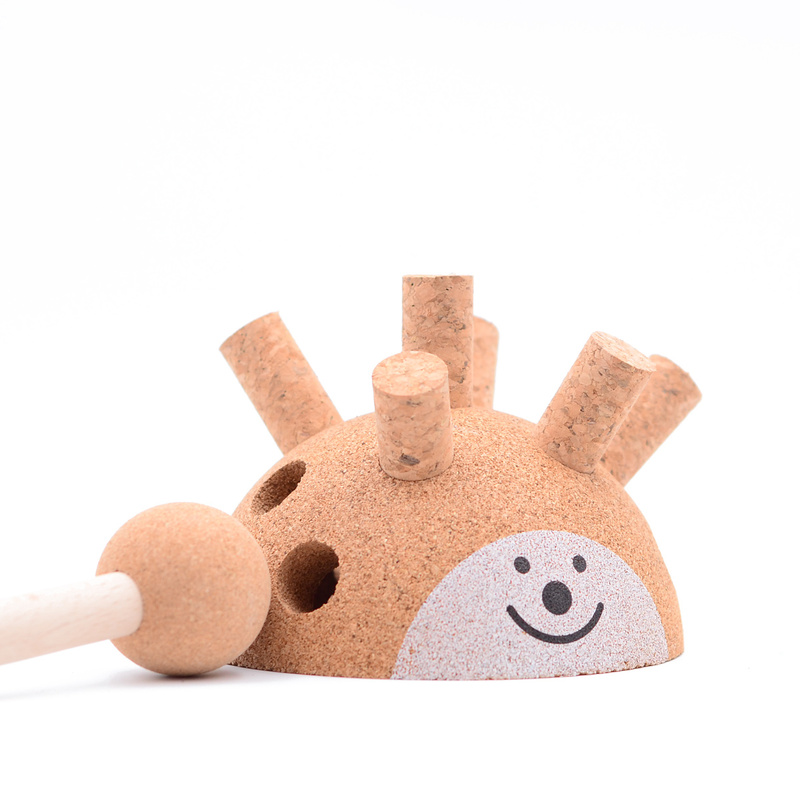 Assuming the typical hedgehog’s spiny appearance, this toy is played through the act of pounding a soft hammer at the end of the cork batons (spikes) to push them into the slots on the toy’s semispherical shell. 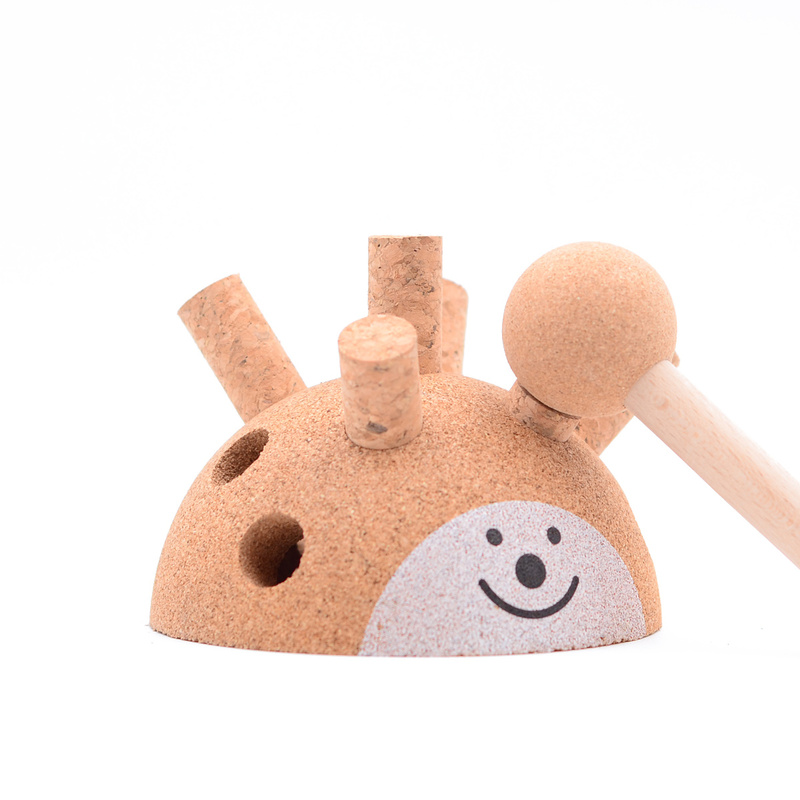 This Hedgehog from Elou Cork Toys is an unpretentious fitting toy whose main purpose is to stimulate the development of the child’s hand-eye coordination and motor skills. It’s Elou’s Best Seller here at Qioske, has it is also used as an anti-stress mechanism by our team, so it fits many purposes you see.